As an experienced supplier of complete nonwovens lines, ANDRITZ Nonwoven develops innovative and efficient drying systems for the nonwovens industry. The neXecodry drying technology is a combination of dewatering and drying technology. It was designed by ANDRITZ to make significant reductions in the energy consumption of existing spunlace, Wetlace (wetlaid and hydroentanglement), and airlace production lines. Nonwovens producers achieve better quality fabrics with higher bulk and no pattern degradation. 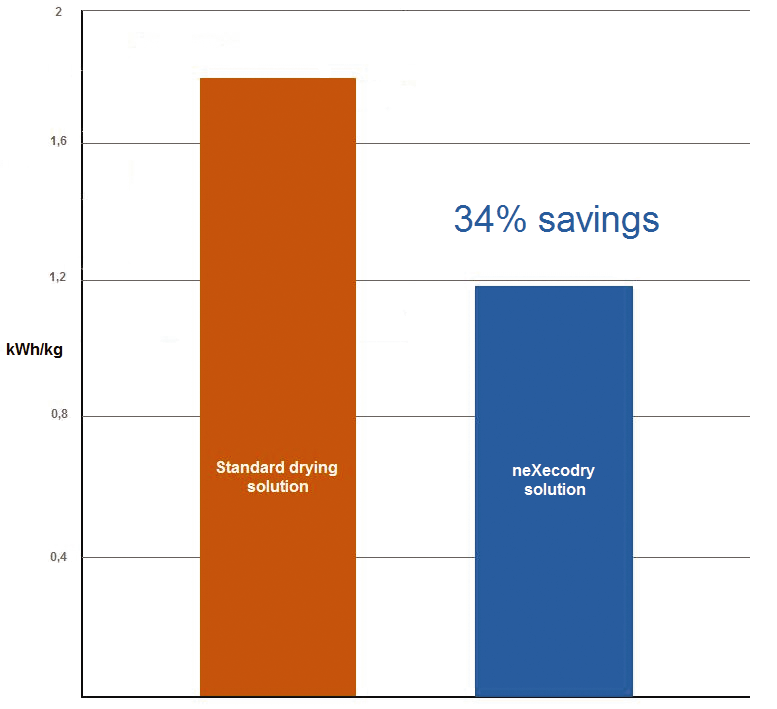 The neXecodry solution from ANDRITZ is an innovative approach that meets the main market requirements: the best quality of nonwovens produced so far, a sound economic payback, and easy installation and maintenance.